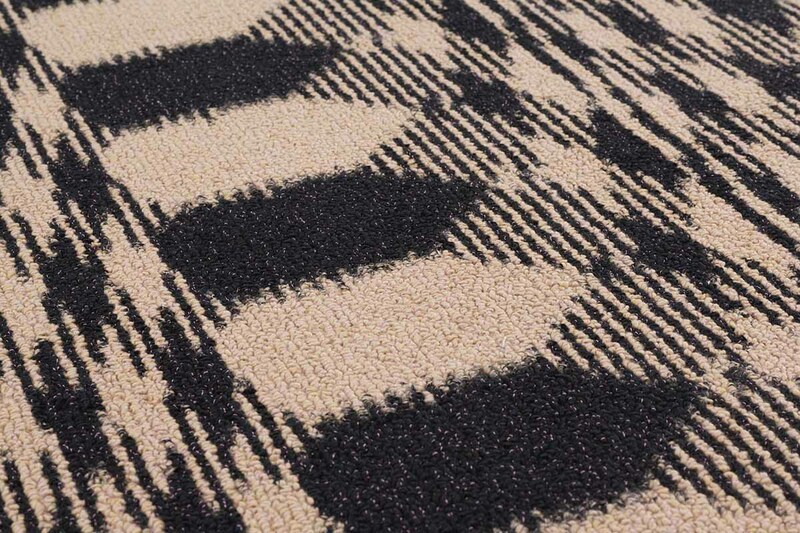 resonance is a soft rug with moving graphic rythms. 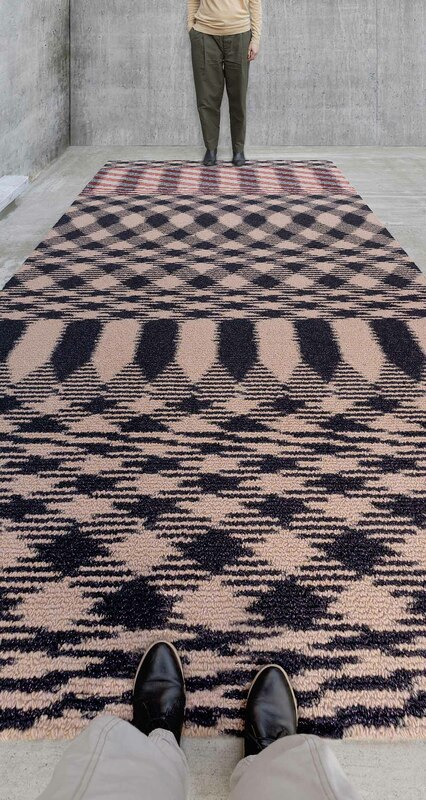 two patterned and colored yarns interfer to create a vibrant landscape with crossed graphic waves. 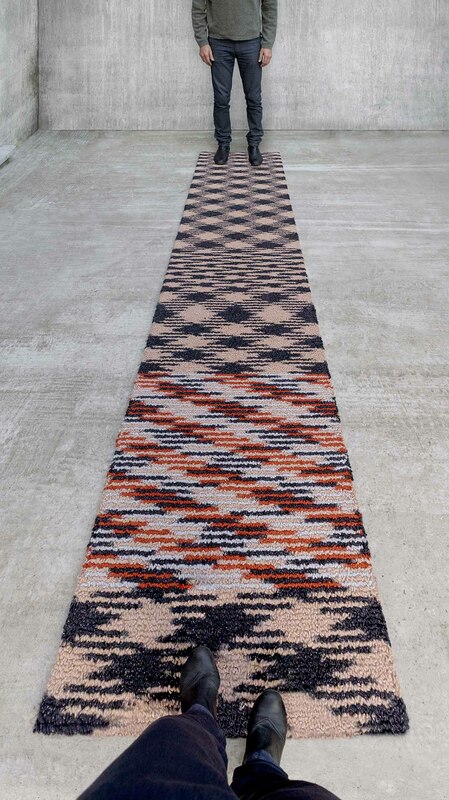 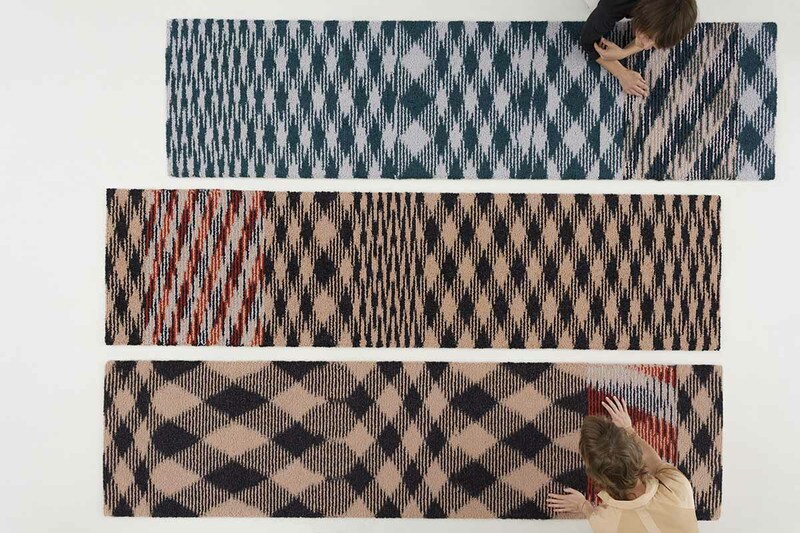 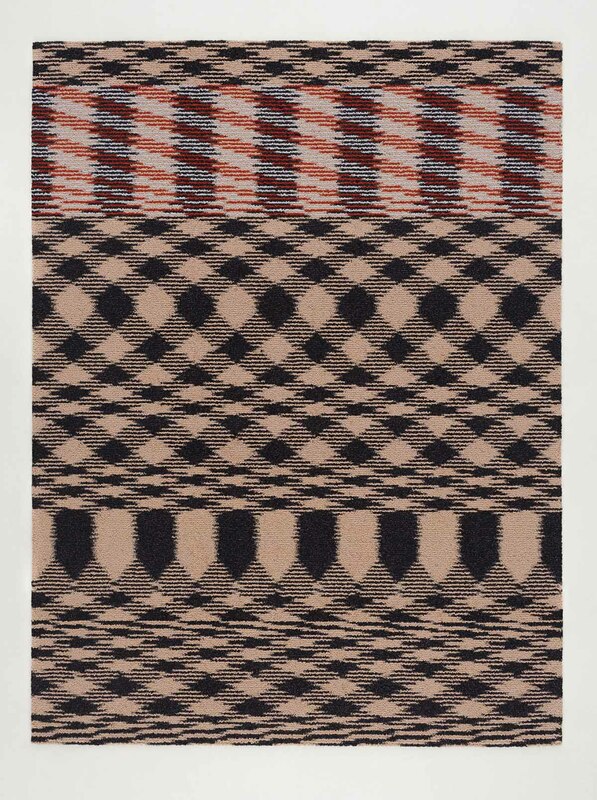 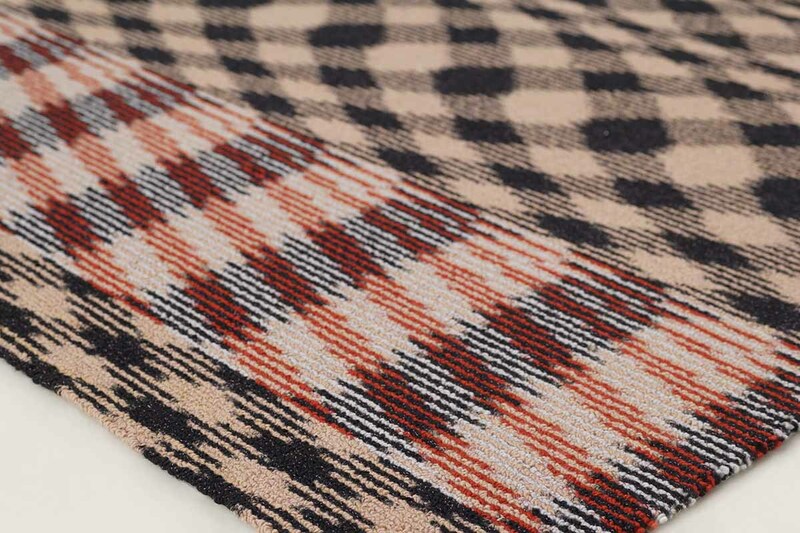 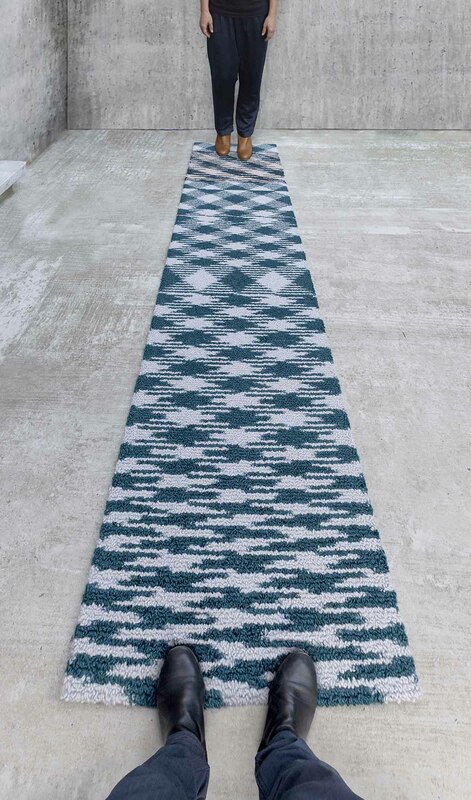 the production process allows graphic fluctuations from one piece to another: each rug gets a uniqueness, revealing how the surface is literally drawn by the yarn itself.